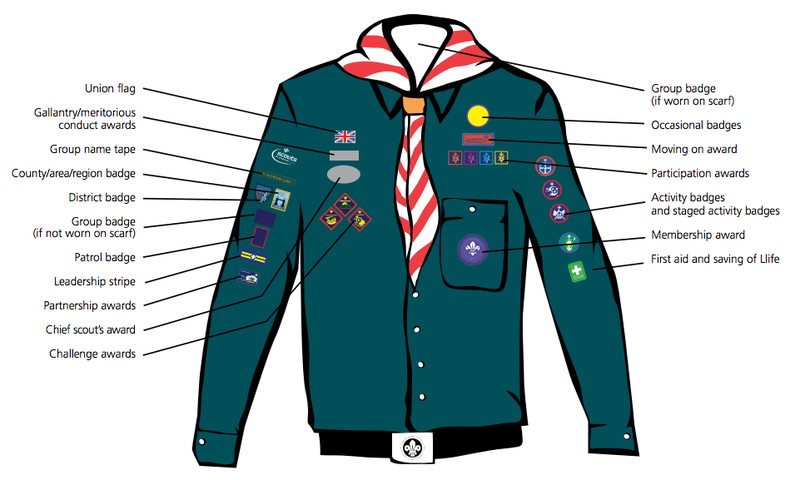 Scouting is a uniformed organisation. 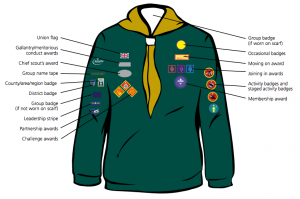 When you join, you will need to buy the uniform from the Scout Shop in time for when you are invested, which is usually a few weeks after joining. 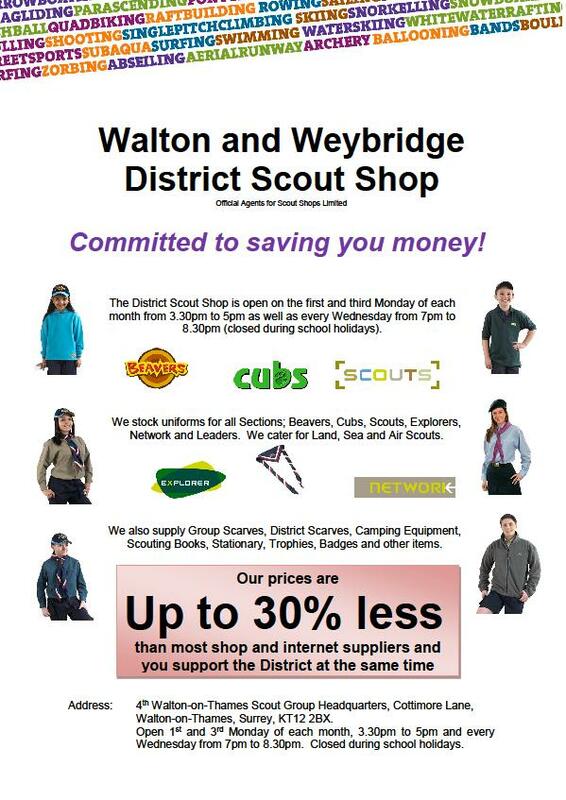 Click for a map to Walton & Weybridge District Scout Shop. 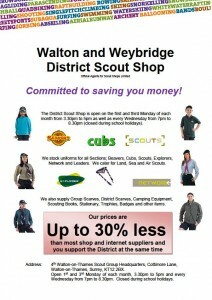 The scout shop only accepts cash or cheque, not credit cards. 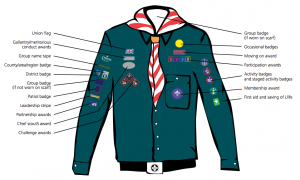 Everyone has a 4th Weybridge Group scarf, maroon with a white border. 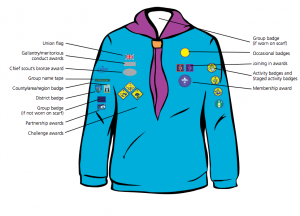 If you have just moved up from Beavers to Cubs, or from Cubs to Scouts, then you should wear your old uniform until you are invested. Please continue to use the same scarf. The items listed below that are optional are marked as such, however we have found them to be very useful. If you do not buy the optional navy blue activity trousers, then please come along in dark trousers suitable for outdoor activities. 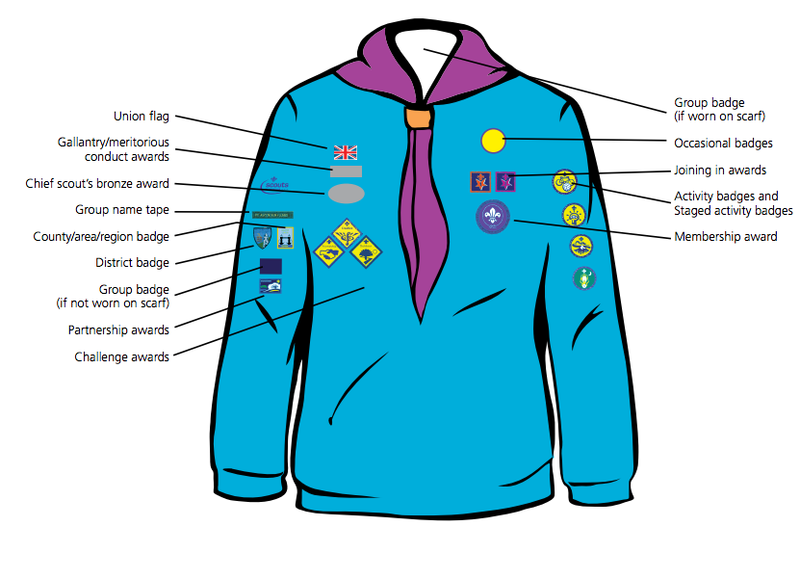 There is also a limited amount of second hand uniform available for a donation, please ask your leader. All items of uniform must be clearly named.